Everyone has a talent. This is one of mine. 😉 Bite mark courtesy of Sir. Yummy. Sir’s mark, to match the one on my other side. The colours aren’t showing as well as I’d like. 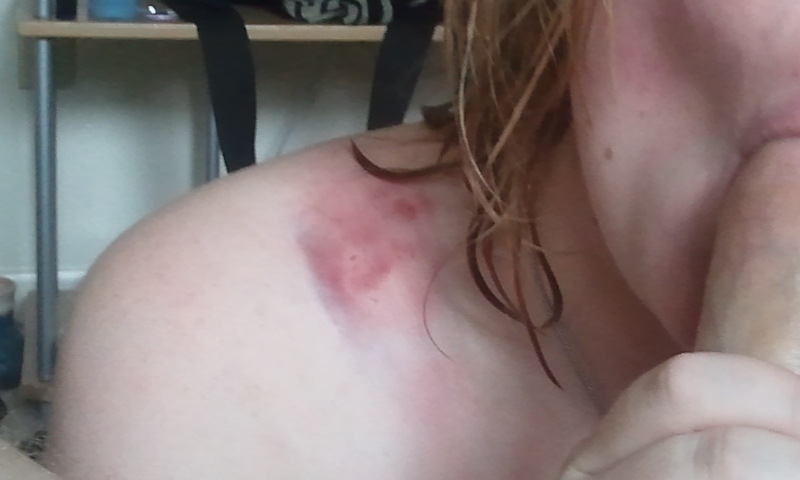 The bruises are a dark purple-y/blue in RL. Yay, bruising to just above my knees!